If you are looking for a high quality free data recovery software to help you in the event of data loss from a personal computer, laptop, or data storage device, then look no further: EaseUS Data Recovery is the product you’ve been looking for. There are many data recovery products around these days, but more often than not they don’t live up to the hype. And with your data on the line, it’s of the utmost importance to choose a data recovery service that you can trust to get the job done when it comes to saving and restoring your lost files. With over seventy-two million users currently, EaseUS Data Recovery is notable for being one of the most efficient and comprehensive free data recovery services currently on the market. And not only is EaseUS great for hard drive recovery, but it can also help to recover lost files that were stored on a USB stick or any other type of data storage device. In fact, EaseUS is so effective at recovering lost data files that it is even used by IT professionals! The EaseUS Data Recovery Wizard is currently available for Windows and Mac data recovery , and it can help recover and restore deleted files (whether they were accidentally deleted by you or erased as the result of a computer program) and even be used to access non-mounting, raw, or corrupted partitions. It can even be used to recover data from servers and RAID storage. There is one downside, however; EaseUS cannot scan and recover an entire hard drive at once; it can only manage partitions. That being said, you can easily select which partition you want to scan and recover, or even select just particular folders in your Library or on your Desktop. In any case, EaseUS is capable of restoring many different types of files: Word documents, Excel files, Powerpoint presentations, PDFs, JPEG images, PNG images, Photoshop files, Illustrator files, MP3s, Wav files, MPEG-4s, QuickTime files, AVIs, WMVs, Zip files, and more. Another great feature of the EaseUS Data Recovery Wizard is the ability to preview files before the scan completes; this feature is quite useful, since it allows you to confirm that the files you are recovering are indeed that ones you wanted (which can be hard to determine sometimes, since recovered files are often given randomized or generic names during the restoration process). And not only does EaseUS Data Recovery provide a comprehensive and easy to use scanning and recovery process, it also has excellent customer support just in case you have question or need additional assistance. One of the most notable aspects of their customer service department is the option to have a live chat with a EaseUS Data Recovery representative at any time during regular business hours. And should you have a question or concern outside of regular business hours, you can always send an email to their support staff, who will respond within two hours (even on weekends!). 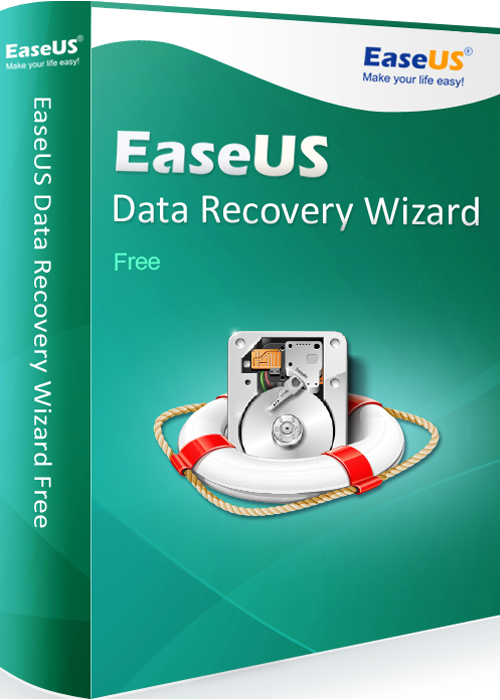 Ultimately, EaseUS Data Recovery Wizard is an excellent data recovery too, and certainly one of the best options for free data recovery software currently available.